As you can see from the countdown clock, it is time to register for the Columbus High School Class of 1969’s 50th Reunion. We have an amazing three-day gathering planned for May 16, 17 and 18, and you do not want to miss these events, your friends from our Columbus High days, and a chance to see how much Columbus has changed since we were in high school. To register: Click on the link to your left titled 50th Reunion. You can sign up for yourself and your guests and pay online. The price: $125 for classmates for Friday evening and Saturday evening activities; and $75 for guests. That’s one price for both nights. If you’d rather pay by check, you can do that, too. (Mailing instructions are on the 50th Reunion page.) 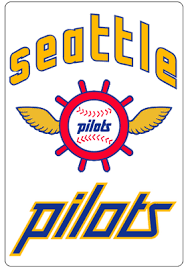 The deadline for registration is May 1, 2019. What will the two evenings involve? On Friday night, May 17, we’ll meet at a brand new event space on the Chattahoochee River called the Powerhouse. It will be an informal gathering with food and drinks. 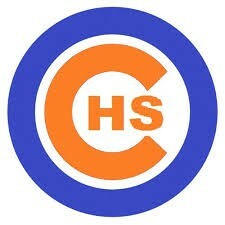 On Saturday night, May 18, we’ll have dinner and a dance at the Country Club of Columbus, near CHS. There's more: There is a tour of Columbus High on Saturday morning, May 18, from 10 am. to noon, which is free for all classmates and guests. (You do need to sign up for it on the 50th Reunion page.) And there is a list of Optional Events on Thursday afternoon, May 16, and Friday, May 17. 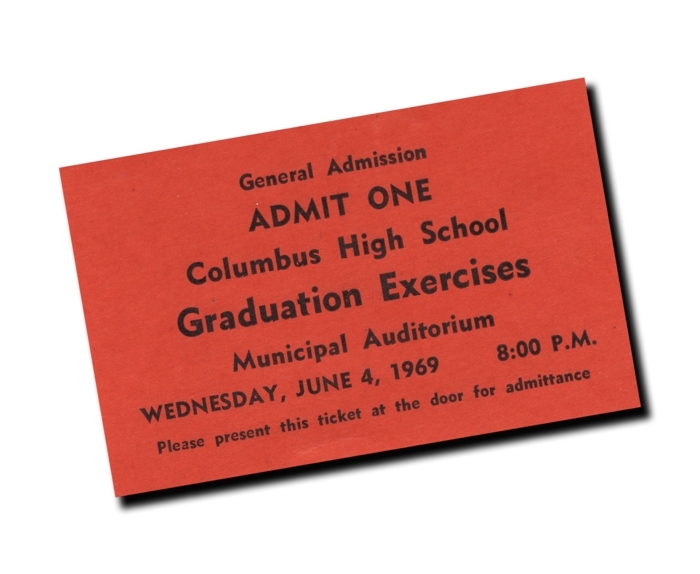 The aim of the Optional Events: Give you a chance to see how much Columbus has changed since 1969 and hang out with your classmates in some fun events. Finally, we are raising money for a Class Gift for Columbus High, in honor of our landmark Class Reunion. 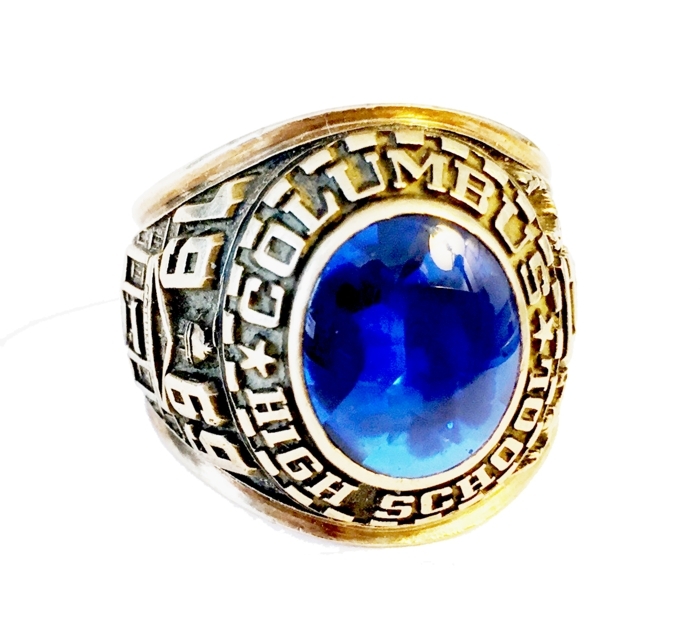 You can find details about the gift—and how Columbus High is ranked as one of the best high schools in Georgia—at our Class Gift page. For more information about the website and our privacy protections, please see the link titled First Time Visitors. Encourage the sharing of stories. Create a sense of community and allow classmates to make new "old friends." Show how the Columbus area has changed in the past 50 years. Leave a gift for Columbus High or the CHS Foundation. Please let us know what you think of these goals, this website, and your desires for the greatest reunion our class has ever held. April 5 Massive anti-Vietnam War demonstrations take place in many U.S. cities. April 7 The U.S. Supreme Court strikes down laws prohibiting private possession of obscene material. April 12 Simon & Garfunkel release “The Boxer,” a followup to their hit single “Mrs. Robinson.” The song rises to number seven on the charts. Years later it was ranked by Rolling Stone magazine as one of the 500 greatest songs of all time. April 13 In the 33rd Masters Tournament in Augusta, George Archer wins his only major title, a one-stroke victory over three runners-up: Billy Casper, George Knudson and Tom Weiskopf. 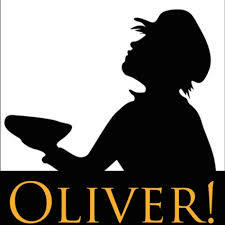 April 14 The movie “Oliver!” wins best picture at the 41st Academy Awards. Cliff Robinson wins best actor for “Charly.” And Katharine Hepburn (“The Lion in Winter”) and Barbra Streisand (“Funny Girl”) share the Oscar for best actress. It is the only time in Academy Award history that two actresses have tied for an award. April 17 Sirhan Sirhan is convicted of assassinating Sen. Robert F. Kennedy in Los Angeles the previous June. April 24 Beatle Paul McCartney says there is no truth to the rumor that he is dead. Pre-Reunion photos: If you have photos of yourself with other classmates, please send them to Jan White Morris for a Pre-Reunion photo album. Be sure to give her the identities, approximate date and maybe the location – enough information for a caption. Memorabilia: If you have an old Dial-A-Devil cover or any Blue Streaks, scan and send them to Jan and we will get them posted. If you think of something else, send that too. Any ideas are welcome. So check out whatever corner of the closet or attic where those few old CHS memories are stored! Your memories could soon become ... our memories.